It seems like every time I go into the grocery store there are more higher prices on the shelves. Are you seeing this where you live? We now have another grocery store in our town and have actually seen a few price wars over the past few weeks. This is great for our community. Other than that, we are doing our best to save money on our tight grocery budget. Here are some resources and tips for you to save money this summer. Stuck between eating well and saving money? This summer, you can make sure both your stomach and your wallet are full. The August issue of Woman’s Day, now on newsstands across the nation, features two covers and plenty of ways to cut down on costs while allowing you to live and eat the way you want to. Want to chime in? 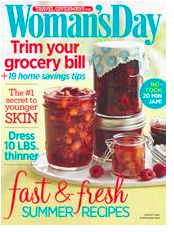 Tell us which cover is your favorite at www.facebook.com/womansdaymagazine. Many supermarkets discount their meat late in the evening so they can move cuts that are nearing expiration out the door before the next delivery. Ask at the meat counter what time the manager makes their markdowns! You can’t be expected to give up your morning joe. But if you tend to have more during the day, drink tea instead and you’ll pocket upward of 40¢ for each additional coffee you don’t have. Odds are good that you pitch food scraps, beverages and overripe fruit nearly every day. 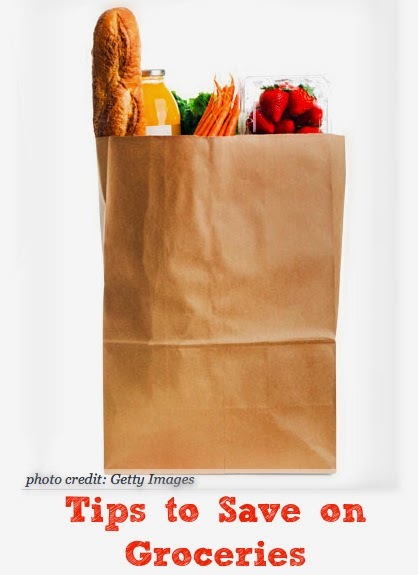 Expand your idea of what you can save for later – chicken bones, veggie remnants, almost-sour wine, bruised bananas and milk can all be frozen safely and used in recipes at a later date. When you find the time to make soup stock or the kids are clamoring for a smoothie, you’ll be ready. You could save: 50¢ (or more) per cup of broth, 25¢ per banana and $6.50 for a bottle of cooking wine you don’t have to buy. 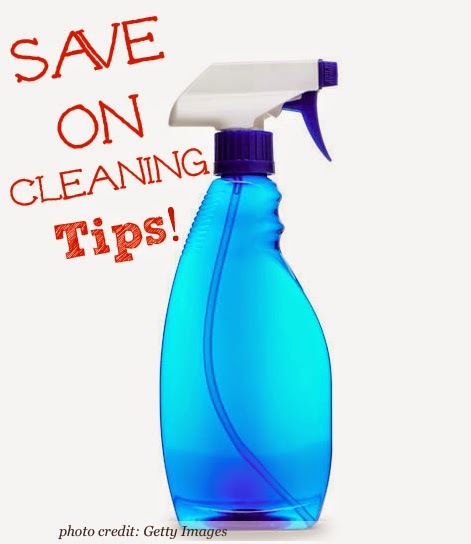 To keep the dust bunnies at bay, cut up an old fleece scarf or jacket, or pick up half a yard of fleece from a fabric store. The fabric attracts ad holds dust, and can be laundered and used again. Crumple a couple of foot-long sheets of aluminum foil into a 2 ½-to 3-in.-diameter ball and throw it in with your laundry to eliminate both static cling and the cost of chemical-laden dryer sheets (use two for larger loads). After a few months, as the balls begin to condense and shrink, simply add an extra sheet or two of foil. 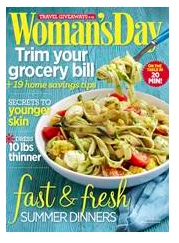 The Woman's Day magazine includes tips on how reduce your grocery bill and eliminate unnecessary costs from simple household chores, you’ll find you have added time and money to relish in the summer sun. Featuring light dinners like pasta with tomatoes, zucchini and pesto for less than $2 per serving and a handful of fresh, easy jam recipes…it’s time to enjoy your summer by spending less!